In March/April for me my asthma care hit a wall and I could no longer continue as I was. Despite my consultant being one of the best in the field of difficult to control asthma I was getting no where, I was feeling lost, totally out of control and no idea what I was doing other than trying to keep myself as well as possible. Something had to change and in my opinion it could only be change for the good because I felt things couldn’t get much worse. That hospital admission changed everything back in April time. By the time I was discharged I had a new team and although I had not met with them yet I felt more confident about my care, who was looking after me and positive about the future. 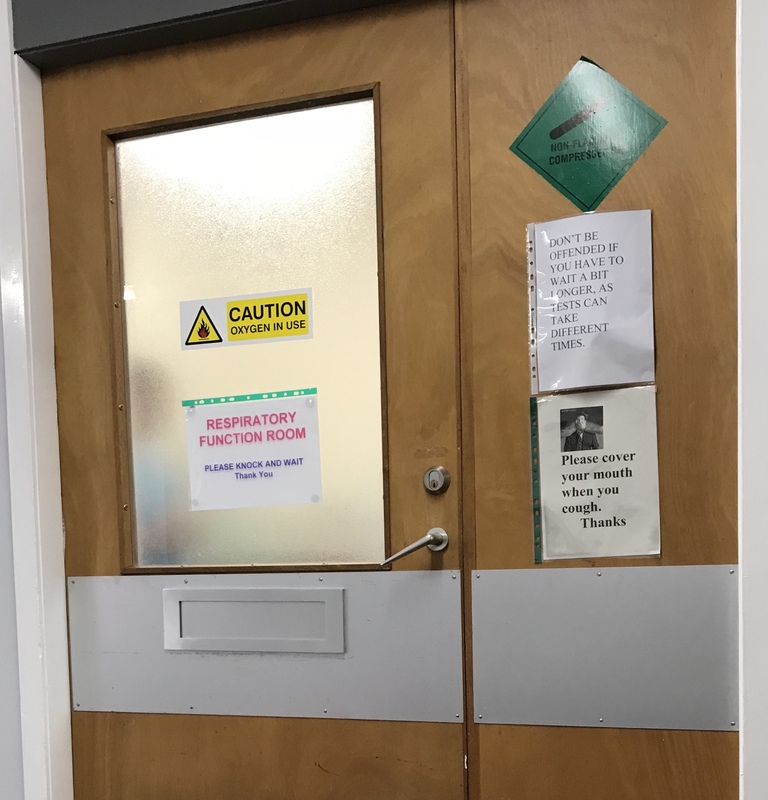 Once discharged home I eagerly awaited my outpatient clinic appointment to find out what would be happening and where I would be going with my care. It took a while to come but yesterday I had my clinic appointment. I spoke with my new consultant on the phone and discussed various things including monoclonal antibody treatment which the allergy people were also keen on. It was decided I would wait and see the consultant once a decision was made on it. I pinned a lot on yesterdays appointment and the new treatment I would be starting. I kept trying to tell myself to not put all my eggs in this basket as things may not change at all and I might yet end up the same as I am and no further forward in getting my asthma under control. Recently I have felt well and managing my asthma quite well. It is because of the high dose of oral steroids I am on and using nebulisers fairly regularly but it has kept me well. People have commented on how well I look and sound. Again the security blanket of prednisolone the drug we all love to hate but right now I am loving it because I feel so well (come 3am when I am up with insomnia and restless legs I am not so fond of it but cant win them all). Well not what I wanted but despite this it was a positive appointment. We did not start new treatment. 2 reasons- my chest was not quite good enough. The recent weather has caused a bit of havoc and I have found it more difficult to remain stable but also he wants to use a different drug but the same type of medication. He is hopeful that my asthma will get better. He did say and many consultants have said it before I will never be free of asthma and may still need hospital help but I should not have to rely on steroids like I am to be able to function and live some sort of life. I long to just be able to plan things and know where I am with my health from week to week or day to day. Having faith in a tea is so important and to feel listened to. I went with a list of questions and things I wanted more information on such as a plan of what to do when I am not well because being on unlicensed doses of inhalers and oral steroids there is no where to go when things get bad other than the hospital and that is not needed just for extra medication so to have a plan for this at home would be really helpful. It may not be perfect but I feel more confident in having someone who I can speak to, I almost ended up crying when I was there as I am so frustrated at my asthma and everything it has cost me and stopped me doing. I try to find the positive and focus on the positives things I have done as a result of asthma but there is the still wonder of what would life be like if my health was to become stable. I was really shocked when after my appointment I felt so drained and then in the middle of the night I woke up and was so angry. I think it sunk in that there is going to be a change. It may or may not work but something is being tried and nothing has been tried in as long as I can remember. I felt so angry that I have been left sitting for years just going in and out of hospital, up and down on steroids and nothing more was being done so had resigned myself to the forever of life being like that until the attack came that would finish it all. I was angry that only because of a bad admission and really throwing my toys out the pram that something has changed and may help. Im not sure how I will feel about the last decade if this new treatment has a positive effect. Life has been very busy with various things particularly research and PPI which I love and so thankful to have it to fall on when I asthma is stopping me from doing everything else in my life!! !